The success of my Donovan post makes me believe that psyche fans wander around the internet. 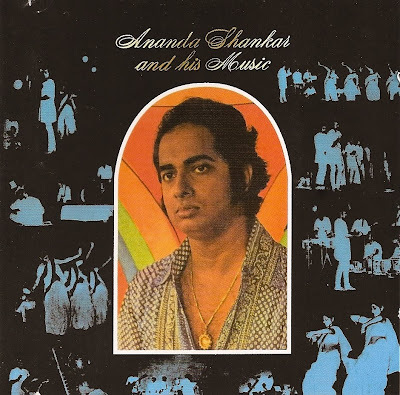 Don't look further, I offer you another absolute jewel, not less than Ananda Shankar stellar 1975 psych-funk masterpiece, celebrated for its two dancefloor stormers, Streets Of Calcutta and Dancing Drums, Ananda Shankar And His Music. Only released in India, this record was famous for being pretty rare in its original vinyl form but has been since largely reedited. Excellent from its very first note to the last, it blends perfectly traditionnal Indian instruments with Western influences without sounding like world music cheesy crap. Maybe because Ananda Shankar was a true Indian and not a little white rocker looking for a declining inspiration by digging in the East.